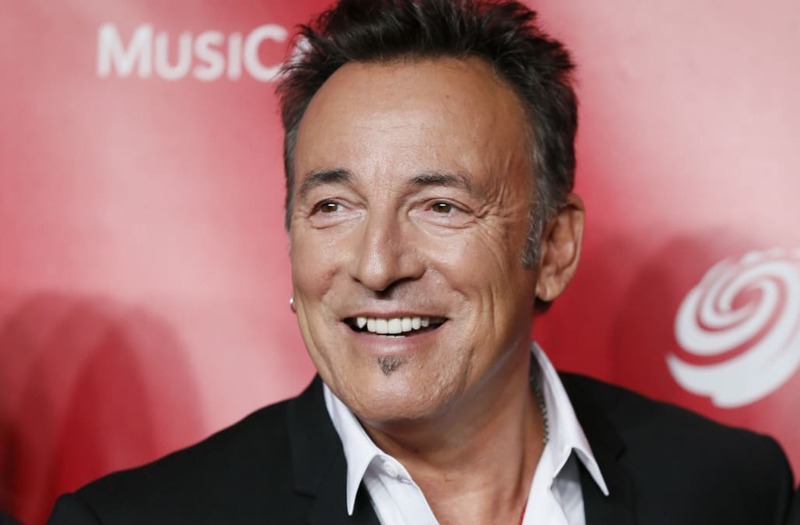 Thunder Road apparently leads straight to Broadway and 48th St.
Bruce Springsteen is slated for his Broadway debut with an 8-week run at the Walter Kerr Theatre, sources told the New York Post on Friday. The legendary star will reportedly do a stripped-down version of the set he typically performs in massive venues -- but as all devoted fans know, his sets vary show to show, so it's fair to assume he'll be mixing the set list up each night. "He wants to play a smaller house," a source from Kerr theatre told the Post. "He wants to try something more intimate, and he likes the idea of being on Broadway." The theatre seats 975, a tiny fraction of the number of fans who pack into Springsteen's stadium and arena shows. One of the biggest concert audiences of all time was a 1988 performance in Germany, where approximately a million fans gathered to watch The Boss. 30 years later, he still sells out huge stadiums and arenas worldwide -- and last year clocked in his longest US show ever with a 4+ hour set. The details aren't finalized yet, but theatre sources say Springsteen will probably open in November and perform five times a week. Rumors have swirled over the past few months that Springsteen's 2016 memoir, "Born to Run," is destined to become a Broadway musical itself. A number of producers have reportedly approached him about the possibility -- and he's expressed real interest.